Approximately 400 letters are in the mail as notices of non-compliance with the Rice WDR reporting requirement for the Farm Evaluation and Nitrogen Management Plan. The Farm Evaluation and the previous year Nitrogen Management Plan apply to the 2017 rice-growing season and are due annually by March 1. Our database also includes the current year Nitrogen Management Plan as a planning tool. All three need to be completed to achieve full compliance. We will be closing the database on July 27, 2018. 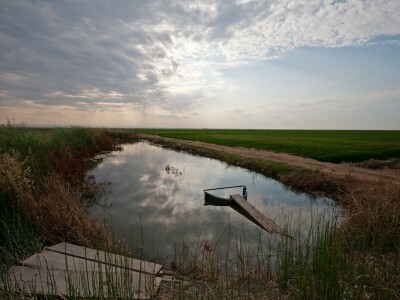 Please go to www.calricenews.org and click on Waste Discharge Requirements. 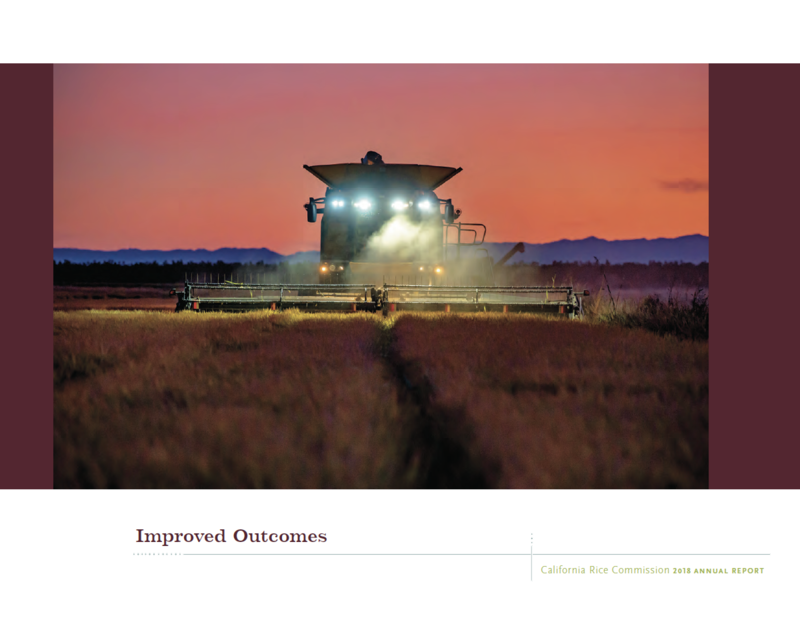 To the right, click on Start Farm Evaluation and Nitrogen Management Plan. Enter the last seven-digits of your pesticide use permit number from 2017, also found above your name on this memo. How do I know whether I complied? You will see the Dashboard with three boxes to the left of the screen. 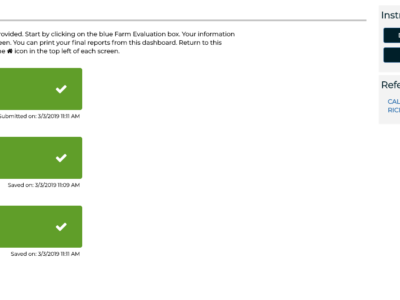 All three boxes will turn green with a white check mark once you successfully complete your reporting. Remember to click Submit Final on the right side of the Summary screen to fully complete each of the three steps in the reporting process. What if you have completed the reporting and received the mailer? Please check the pesticide permit number above your name. The permit might be outdated, which is something we would not know at the time we receive the data download. You might need to complete the reporting requirement with zero acres if you did not farm and still had an active pesticide permit at the county agricultural commissioner’s office in 2017. Where do I look for additional information?